In 2016 PZU Foundation and EAD inaugurated the PZU Scholarships project. With the support of the PZU Foundation we will grant 10 scholarships to outstanding candidates for the Program of the Academy of Young Diplomats (AYD). Within this project, a group of local Polish leaders shall receive financial support for their participation in the AYD. 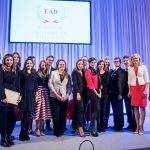 This year’s 15th edition will bring together 200 young leaders from over 60 countries who will be educated within 3 unique specialization – two in English and one in Polish (International Organizations, International Security, Polish Foreign Service). The scholarship shall cover the tuition fee of participation in AYD. Please be advised that the scholarship does not cover the costs of accommodation, transportation and meals during the program. 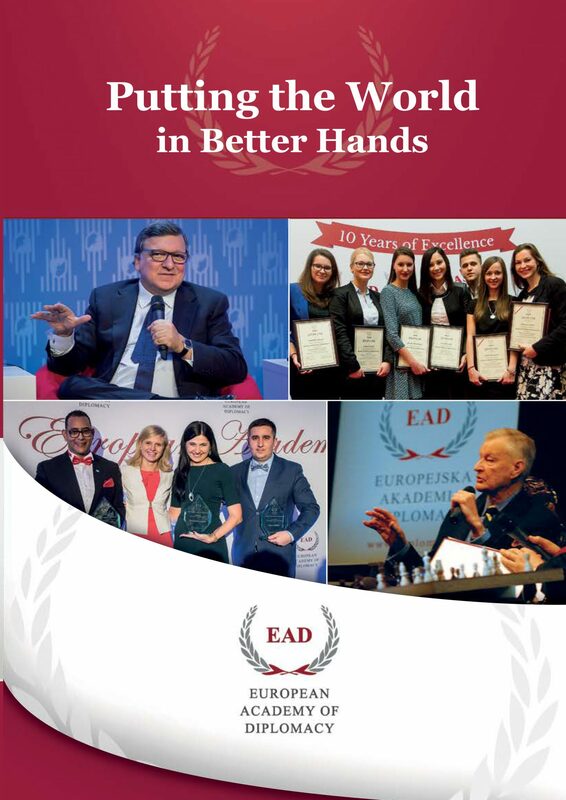 The Academy of Young Diplomats (AYD) is an annual diplomatic program for emerging global leaders, preparing future diplomats, civil servants and social entrepreneurs for international careers in a spirit of responsibility for the surrounding world. Addressed to senior students and graduates, the program offers 70-hours of hands-on diplomatic training, a special workshop session, study visits and one study-session outside of Warsaw. 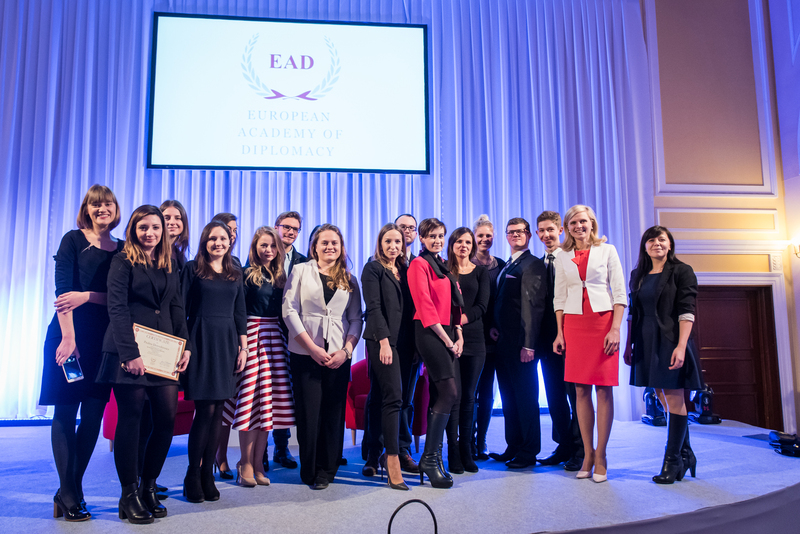 Since 2004 over 2800 participants from 60 countries have graduated from the Academy of Young Diplomats. Over 100 AYD Alumni found work in the Ministries of Foreign Affairs of their respective countries, while others are employed in European institutions, international organizations, public administration and business. Detailed information about the program can be found here. Are you a young Polish leader representing a city up to 70 thousand residents? Are you proficient in English (C1 level in reading, writing, and speaking)? Have you read and acknowledged the scholarship rules and regulations? 2 references who can provide you with professional references (which should include, name and surname, e-mail address, phone number and the job title). Applications should be sent by 30 September 2018. Polish citizenship is required. Before you start filling up this application form, please be informed that at the end of this form, you will need to upload a short video and your Resume/Curriculum Vitae (CV) to successfully submit this application. Therefore, please prepare these materials before you start filling up the form as this form does not have saving option. Applications without the attachments won’t be taken under the consideration. Describe challenge that you and your friends are facing in your local environment and tell us how participation in AYD Program will help you to resolve it. Possess the ability to speak with clarity, brevity, and structure. A strong video takes time and practice, so please plan accordingly. We will not consider complex editing skills, visual effects or other elaborate elements. Your video should feature you and your ideas. Please upload your video on video hosting websites such as YouTube, DropBox or Wetransfer. Please save the video using your full name and adjust the privacy settings so that only those with the URL or specific links are able to view the video. For YouTube video, please do not make your video private as we will not be able to access or view it. To apply for the scholarships please fill the form below. It will take approximately 30 minutes. Before you start please prepare basic details concerning your education and professional experience as well as short motivation statement, curriculum vitae, list of references and link to your video. The deadline for scholarshion applications was 30 September 2018. Scholarship applications are no longer accepted. You can still fill in the regular application form available HERE. Is there an age limit for becoming PZU Foundation Scholarship beneficiary? Yes. You have to be at least 20 years old. If I have the residence permit in Poland. Can I apply for the PZU Foundation scholarship? No. Only Polish citizens are eligible for the scholarship. Do I need to provide recommendation letter? No. You only need to provide the contact information for two professional references. They should be people with whom you’ve worked with – not family, friends, or a spouse. Ideally one of these references should be a former supervisor. Your referees may be contacted by the selection committee at any point via the email addresses and/or phone numbers you provide. You DO NOT need to provide a letter of recommendation as part of your application. Europass CV format? What is it? I have already submitted my application but I would like to make same changes. Is this possible? Unfortunately, no – it is not possible. It is clearly stated on the application form and on the website that after you click the submit button you will no longer be able to make any changes. Once you’ve submitted your application, it is no longer possible to edit, modify or change it. The scholarship will cover participation fee in one year long AYD Program. Does it mean I have to cover my travel cost to/from Warsaw during sessions, the cost of the visa, accommodation, and food? Yes. The scholarship covers participation fee of the AYD. The program includes 6 three-days sessions in Warsaw, one workshop session, one external session in Krakow (accommodation and meals); study visits in the embassies and international organizations based in Warsaw. I want to apply for the scholarship. When is the final date of the application submission? The final deadline of the application submission is 30th September 2018. When can I expect the results of my application? The scholarship applicants will be informed about the results via e-mail by mid October 2018. Since 2004, PZU Foundation carries out philanthropic activities of the PZU Group, that are a part of the strategy of social commitments of the company. The purpose of the Foundation is to promote the education of children and young people and equalisation of opportunities for persons with disabilities, as well as increase access to cultural and social life and support the development of civil society in various matters. “We help helping” is the motto of the Foundation, that is implemented by supporting strategic areas such as Education, Care and social assistance, Health care, Culture and Art.